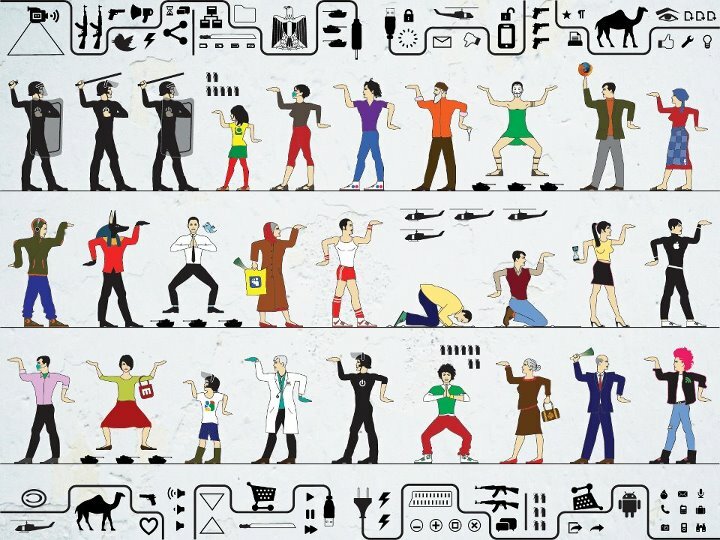 Anarchists have been present in Egypt before, during, and after the revolution, but until today, they have yet to organize a mass grouping under the banner of anarchism. The Ultras of Egypt’s football clubs have for years been associated with anarchist ideas and actions, and they are widely credited with having initiated the level militancy that brought down the Mubarak government in February of 2011. 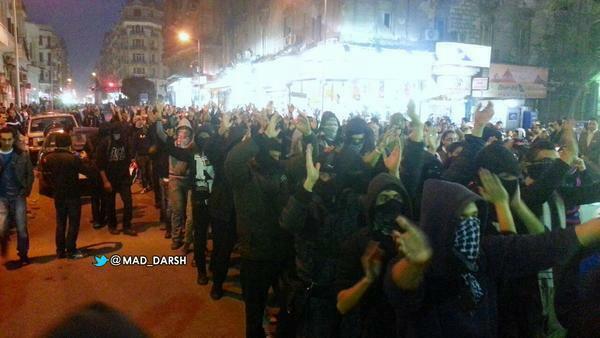 A black bloc marches in Cairo tonight, preparing for confrontations with security forces near Tahrir Square on the even of the second anniversary of the revolution. Last night, anarchism left the graffitied walls, small conversations, and online forums of Egypt, and came to life in Cairo, declaring itself a new force in the ongoing social revolution sparked two years ago with multiple firebombings against Muslim Brotherhood offices. Later, the government shutdown the “Black Blocairo” and “Egyptian Black Bloc” Facebook pages, but they were soon re-launched. “Wait for our next attacks as we respond to the closing of our official page…” they posted in a statement posted online this morning (translated below). Today, the black bloc made its first mass-appearance in Tahrir Square, and, shortly after, firebombed the Shura Council (Egyptian Parliament), tore down a section of the protest-barrier walls leading from Tahrir Square, and, with others, engaged in fighting against security forces. These statements and actions are in preparation for tomorrow’s second anniversary of the revolution, and for what some are calling “a whole new level” or protest in Egypt. Anarchism and the black bloc concept has grown in recent months across Egypt, Stemming from various anarchist grouping/circles that coalesced during the revolutionary period. A massive distrust among the youth of all political parties, a sharp critique of the role of religion within governance, and the inspiration of anarchist resistance around the world (largely symbolized by the late-2008 revolt in Greece) have helped it catalyze. 1- Setting fire to Ikhwan (Muslim Brotherhood) online office. 2- Setting fire in the Ikhwan office in Al-Manial street in Cairo. And we announced our revolution since today in Al-Tahrir Square untill Egypt and it’s people get their rights back! Life, Freedom and social justice! 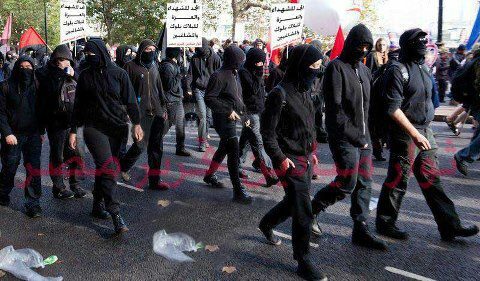 Members of the Black Bloc — a group of protesters clothed in black and wearing full face masks — clashed with security forces in front of the Ettehadiya Presidential Palace on Friday afternoon, eyewitnesses told Al-Masry Al-Youm. Violent clashes between supporters and opponents of President Mohamed Morsy in front of Presidential Palace in Heliopolis, Cairo, 5 December 2012. A Black Bloc protester allegedly threw a Molotov cocktail in front of Gate 4, and security forces retaliated by firing tear gas canisters and dismantling makeshift tents set up by protesters who had declared a sit-in. The state-owned newspaper Al-Ahram reported that dozens experienced suffocation due to the heavy use of tear gas. 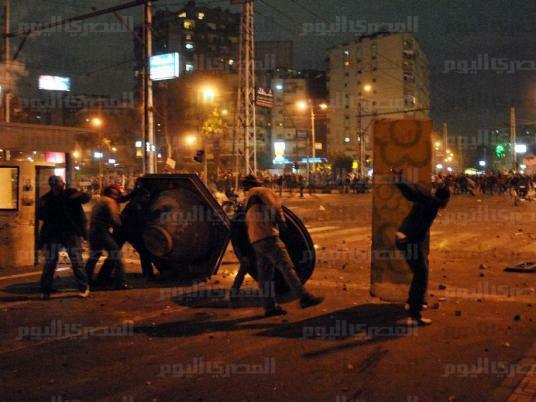 The Health Ministy earlier reported 380 injured in protests nationwide, according to state-run news agency MENA. Four marches headed to the presidential palace earlier today to protest against the Muslim Brotherhood and President Mohamed Morsy, who was not expected to be present at the palace at any point today. A woman’s march arrived at around 3 pm on Friday afternoon. Protesters carried images of the iconic leaders of the Egyptian feminist movement, including Doreya Shafiq and Hoda Sharawy. A woman led the protesters in chanting, « Egypt’s women don’t care about your Constitution, » and « Remove your beard, reveal your shame. » Families and children numbered among the demonstrators. Central Security Forces lined up in front of the palace’s gates as the protesters faced them, chanting. They raised an image of the veteran activist, Shahenda Makhled, who was allegedly been assaulted by a Muslim Brotherhood member during the presidential palace clashes in December. Earlier Friday morning, dozens of protesters blocked Merghany Street in front of the palace, state-run newspaper Al-Ahram reported. Protesters burned tires in the street, shutting down traffic. Security forces were deployed to the scene and lifted the blockade within half an hour. The fires were put out, and the flow of traffic returned to normal. The palace was the site of bloody clashes between Morsy’s supporters and opponents during a wave of protests against the 22 November Constitutional Declaration last year. This entry was posted in L'insurrection égyptienne et ses suites and tagged Le Caire, place Tahrir. Bookmark the permalink.